AC Milan will reportedly get a financial boost this summer which will be used to secure the permanent signing of Tiemoué Bakayoko from Chelsea. The 24-year-old has overcome a troubled start to life with the Rossoneri to establish himself as a fundamental figure in Gennaro Gattuso’s starting line-up. Bakayoko has now made 30 appearances in all competitions so far this season, as he has been an ever-present in the starting XI since October. From providing a steeliness in midfield and protection for the defence to impressing with his powerful, driving runs forward to offer something in attack too, he has undoubtedly put his disappointing year at Chelsea behind him and looks to be settled and getting back to his best with the Italian giants. In turn, it seem likely that they will exercise the option in his loan deal to sign him on a permanent basis, and Goal Italy now report that with Milan set to receive €12m from Manuel Locatelli completing a move to Sassuolo, that fee will go towards the €35m needed to sign Bakayoko outright from Chelsea. 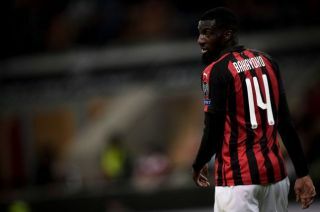 It’s added that €25m-rated Stefano Sensi also remains of interest to Milan to further bolster their midfield, but for now, it would appear as though they’ll have the financial power to sign Bakayoko and extend his stay. Much will surely still depend on their ability to qualify for the Champions League though, as the boost that comes with that both on and off the pitch will arguably make life much easier for them to sign their top targets. A win over Sassuolo on Saturday could move Milan up into third place in the Serie A table, but it seems as though plans are potentially being put in place already to continue to strengthen the squad moving forward.